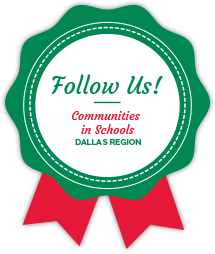 Communities In Schools of the Dallas Region, Inc. (CISDR) is pleased to announce that G. Brint Ryan has joined our Board of Directors. Mr. Ryan is Founder, Chairman and CEO of Ryan LLC, an award-winning global tax services and software provider, and the largest firm in the world dedicated exclusively to business taxes. With global headquarters in Dallas, Texas, the Firm provides an integrated suite of federal, state, local, and international tax services on a multi-jurisdictional basis, including tax recovery, consulting, advocacy, compliance, and technology services. Ryan is a five-time recipient of the International Service Excellence Award from the Customer Service Institute of America (CSIA) for its commitment to world-class client service. Empowered by the dynamic myRyan work environment, which is widely recognized as the most innovative in the tax services industry, Ryan’s multi-disciplinary team of more than 2,300 professionals and associates serves over 14,000 clients in more than 45 countries, including many of the world’s most prominent Global 5000 companies. Mr. Ryan won the Employees’ Choice Award recognizing the Highest Rated CEOs for 2017 by Glassdoor, one of the world’s largest and fastest-growing job sites. He ranked number 44 out of the 100 chief executives, making him the highest ranked CEO in Dallas-Fort Worth and the second highest rated CEO in the entire state of Texas. As a sought-after leader on tax issues, Mr. Ryan is designated among the Top 25 Most Powerful People in the State of Texas by Texas Monthly magazine, and was named to Irish America magazine’s 2013 Business 100, honoring the best and brightest Irish-American and Irish-born leaders in the world. In addition, Mr. Ryan has held numerous high-level government appointments that rely on his business and tax acumen to make critical recommendations on matters pertaining to tax policy in the state of Texas. In 2015 he was reappointed by Governor Greg Abbott to serve a second six-year term as Regent of the University of North Texas (UNT) System Board of Regents, which he has chaired since 2013. He also founded and chairs The Ryan Foundation, a non-profit that has donated millions of dollars and countless hours of community development to charities in 58 cities where Ryan has offices. Brint Ryan is also the owner of Hotel Settles in Big Spring, Texas, one of the most historically significant structures in West Texas. A native of West Texas, he also has oil, gas and agribusiness interests in Howard County, Texas. He resides in Dallas with his wife Amanda and their five daughters.